Your choice of pillow can have a huge impact on how well you sleep. Cheap pillows can sag and eventually break down until they are completely flat. A sleep better memory foam pillow will support your head and neck so that your body can relax more completely, without pain. Side and stomach sleepers have an even bigger hurdle when it comes to maintaining the proper position. While these positions are commonly preferred for comfort, they quickly cause pain and end up making you toss and turn to find a more suitable position. That’s because the head is naturally out of position unless you find the right support when sleeping on your side or stomach. 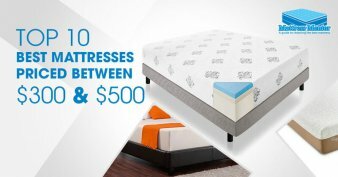 The Sleep Better Iso-Cool Memory Foam Pillow is a great choice for side sleepers especially. The thick, resilient support provides protective cushioning for the neck and spine, while giving you luxuriously soft padding for your head. When choosing the perfect pillow for sleeping comfortably, you have to consider your personal sleep position needs. For side sleepers, a thick, supportive pillow is a prime requirement. Some other issues include air quality through using hypo-allergenic materials, temperature control for a cooler sleeping surface and easy care and durability. Extra Thick Sides for Increased Neck Support: Side sleepers need extra thick pillows to keep their heads in line with their spine during the night. The Iso-Cool Memory Foam pillow is five and a half inches of thick support that is encased in a shape-maintaining casing. All sides of the pillow are stitched with two corded gussets that are spaced evenly apart to keep the pillow in the perfect position. Phase Change Mate Bead Temperature Control: It is a well-known fact that people sleep better when their bedding is just the right temperature. That means you need a pillow that won’t absorb body or room heat, or get too cold in air conditioned rooms or when it is cold outside. PCM beads not only help regulate the pillow material’s temperature, it also senses body temperature and allows the pillow’s outer material to absorb elevated body temperatures without raising the internal temperature of the pillow. There aren’t many disadvantages to a solid memory foam pillow like the Iso-Cool, but some users find it harder to get used to a different style of pillow. Here are the main problems that arise with most memory foam pillows, and how they can be resolved. Hard and Unyielding When Purchased: right out of the package this pillow can seem like a mistake. It’s supposed to be luxurious, but it feels heavy and hard. That is simply a result of crushing to fit a smaller package and make shipping more affordable for the buyer, and they being exposed to cool temperatures during transportation. To overcome this issue simply fluff up the pillow and let it sit a few hours so that it can warm up and return to its original shape. Has a Strong Smell When Opened: Another common issue buyers sometimes find hard to deal with is the smell that can accumulate inside the packaging during shipment. When contained in an enclosed plastic wrap the pillow can develop an odor. This can also occur during storage at any time after purchase if it is put in an enclosed container for long periods of time. It is easy to get rid of the odor, however. Simply leave the pillow in a well-ventilated area for 24 to 48 hours and the smell will go away on its own. 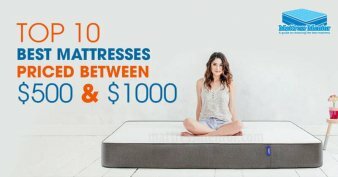 The Sleep Better Iso-Cool Memory Foam Pillow has been around for awhile, and there are more than 3,000 reviews from from this side sleeper pillow users. When any product has that many reviews and a majority of them are 4-star and better, with more than 50% of them 5-star reviews, you can feel quite confident it is a good product. Here are a few of the comments. What a great pillow! The Iso-Cool memory foam pillow is hands down the best pillow I’ve ever owned. Weird, in a great way. I was asleep in minutes and sleep like a baby all night long. Won’t go back to a traditional pillow ever again. Finally, a pillow that doesn’t sink in, and supports my neck properly. This is an excellent pillow for side sleepers that won’t shift or change shape even if you change positions often. It is affordable easy to use. It is a large pillow that gives you a variety of options for good placement. 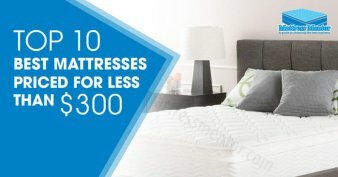 Add the Sleep Better Iso-Cool Memory Foam Pillow to your cart today and sleep better the very first time you use it.